The global small cell 5G network market size is expected to grow from USD 528 million in 2019 to USD 3509 million by 2025, at a Compound Annual Growth Rate (CAGR) of 37.1% during the forecast period. The major growth drivers for the market include the growth in the mobile data traffic, the emergence of Citizens Broadband Radio Services (CBRS) band, and lower Capital Expenditure (CAPEX). However, the poor backhaul connectivity may restrain the market growth. The femtocells segment is the biggest contributor to the small cell 5G network market. The increasing data traffic on mobile networks and the growing need for high bandwidth spectrum are the prime factors that are expected to boost the adoption of small cells in the indoor segment by deployment mode. On the basis of end users, the telecom operators segment is expected to hold a larger market size in the small cell 5G network market during the forecast period. Nowadays, telecom companies are more focused on providing 5G services under sub 6GHz for delivering enhanced mobile broadband services. In addition, they are aggressive to provide Internet of Things (IoT) and low latency communication services on mmWave or higher frequency bands, which would play an important role in accelerating the growth of small cell deployment in the 5G network. Asia Pacific (APAC) is expected to provide significant growth opportunities for the small cell 5G network vendors during the forecast period. The large population in APAC has created an extensive pool of mobile subscribers for telecom companies. It is the largest contributor to the total number of mobile subscribers across the globe and expected to add more subscribers to its network in the coming years. It is a diversified region, which houses a wide range of countries moving toward digital transformation. It is set to dominate small cell 5G deployments, due to its size, diversity, and the logical lead taken by countries, including South Korea, China, and Japan. In-depth interviews were conducted with Chief Executive Officers (CEOs), marketing directors, innovation and technology directors, and executives from various key organizations operating in the small cell 5G network market. The report profiles the following key vendors in the global small cell 5G network market that include Ericsson (Sweden), Huawei (China), ZTE (China), Cisco (US), NEC (Japan), Nokia (Finland), CommScope (US), Airspan Networks (US), ip.access (UK), Corning (US), Fujitsu (Japan), Samsung (South Korea), Comba Telecom (Hong Kong), Contela (South Korea), and Baicells Technologies (US). The report segments the global small cell 5G network market by component, radio technology, cell type, deployment mode, end users, and region. 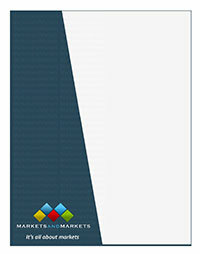 It has a detailed analysis of the key industry players to provide insights into their business overviews; services; key strategies; new service launches; partnerships, agreements, and collaborations; acquisitions; and the competitive landscape associated with the global small cell 5G network market. It comprehensively segments the small cell 5G network market and provides the closest approximations of the revenue numbers for the overall market and its subsegments across major regions. It would help stakeholders understand their competitors better and gain more insights to enhance their positions in the market. The competitive landscape section includes competitor ecosystem, new service developments, partnerships, and acquisitions.